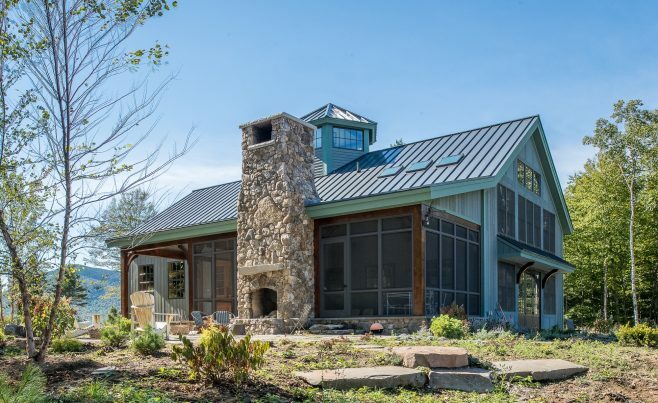 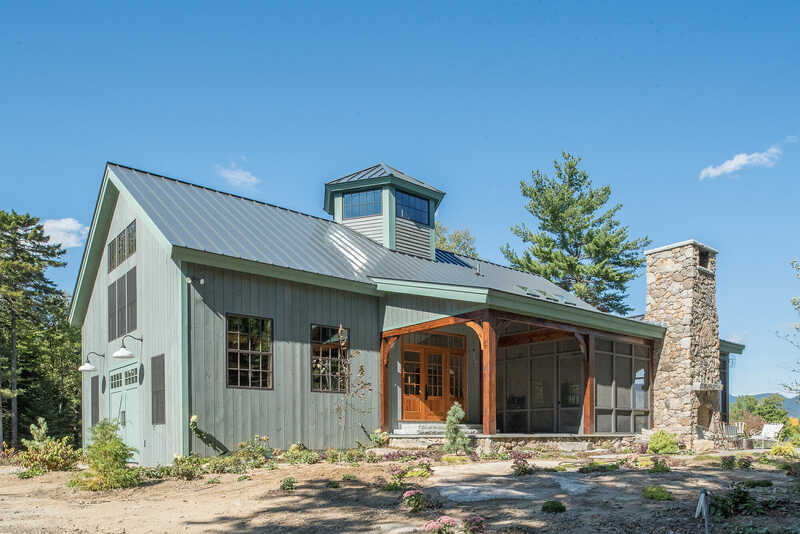 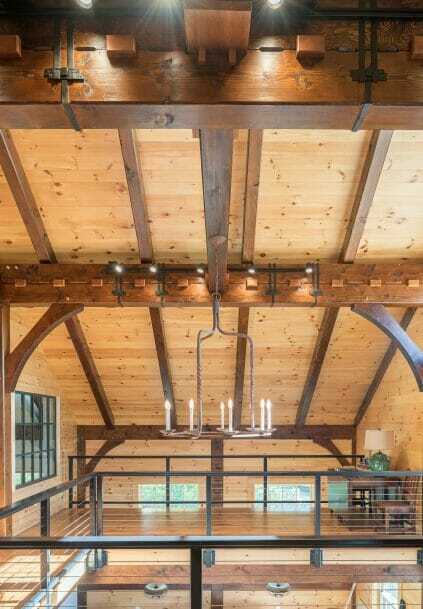 This is a barn-home in Sandwich, New Hampshire made with smooth Douglas Fir timber that is treated with Minwax Provincial stain. 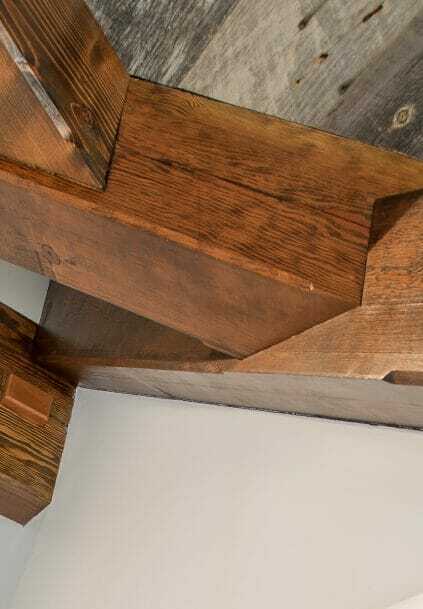 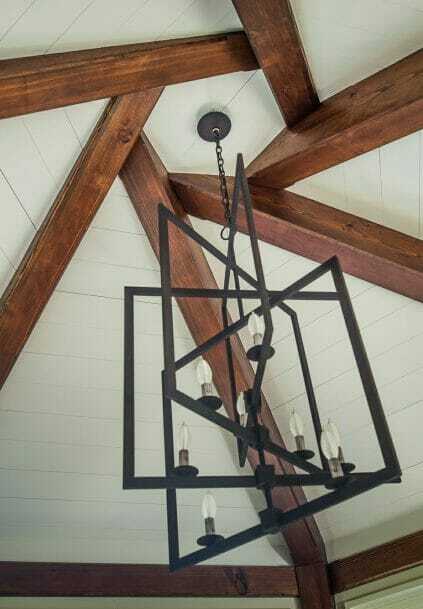 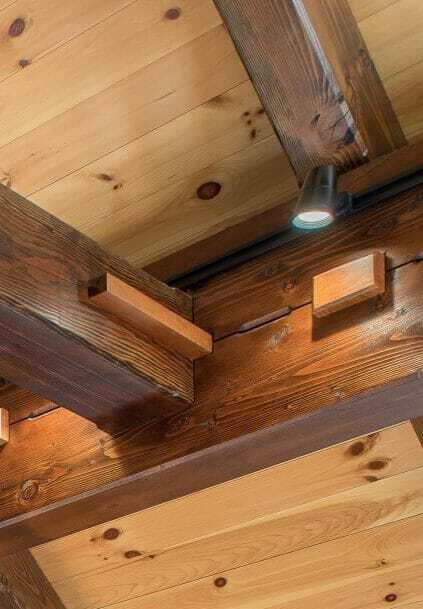 The Black Cherry keys and steel straps add a nice touch to the frame, which was designed by Bonin Architects the same architect who did Night Pasture Farm, and finished by Broome Building Co. 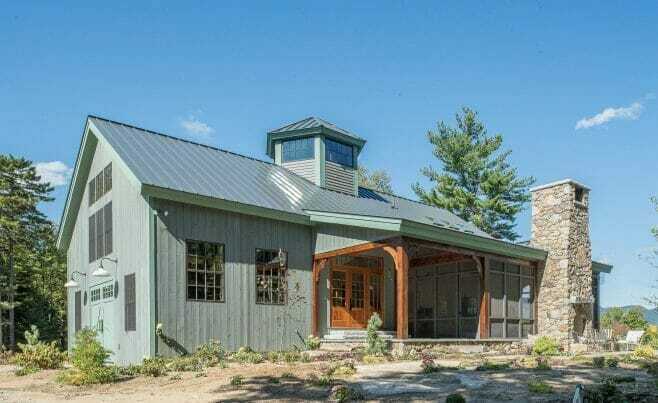 The building incorporates SIP’s so the envelope is very energy efficient. 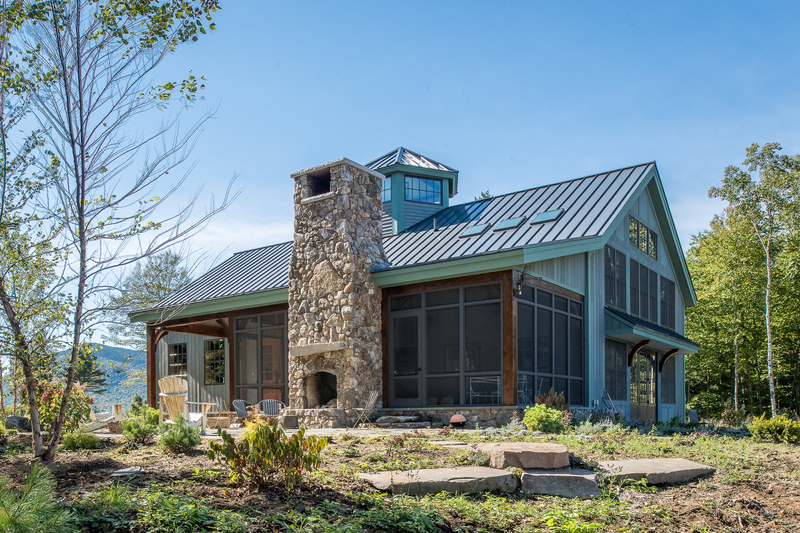 It is also off-grid and all of its power is provided by a solar PV system. 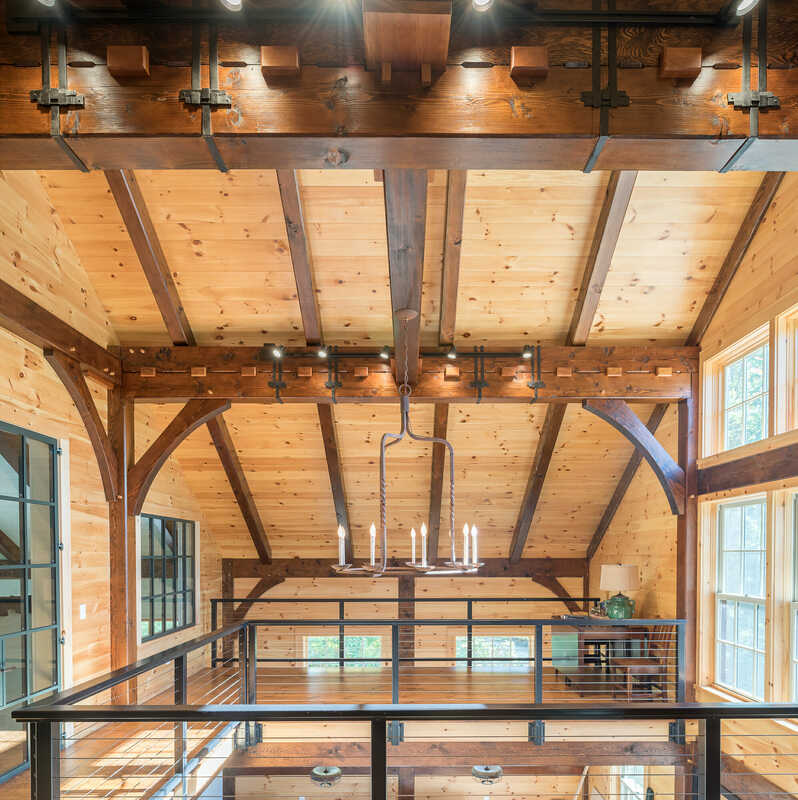 If you like this timber frame home, or have timber work questions, we invite you to get in contact. 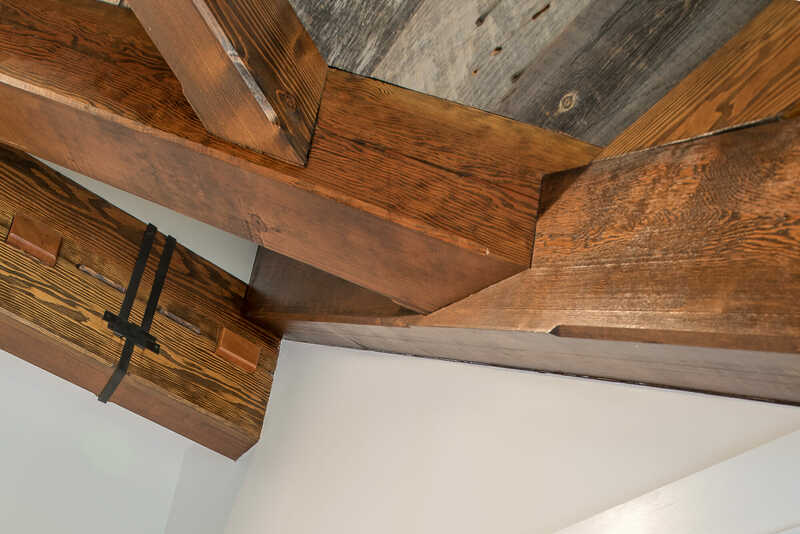 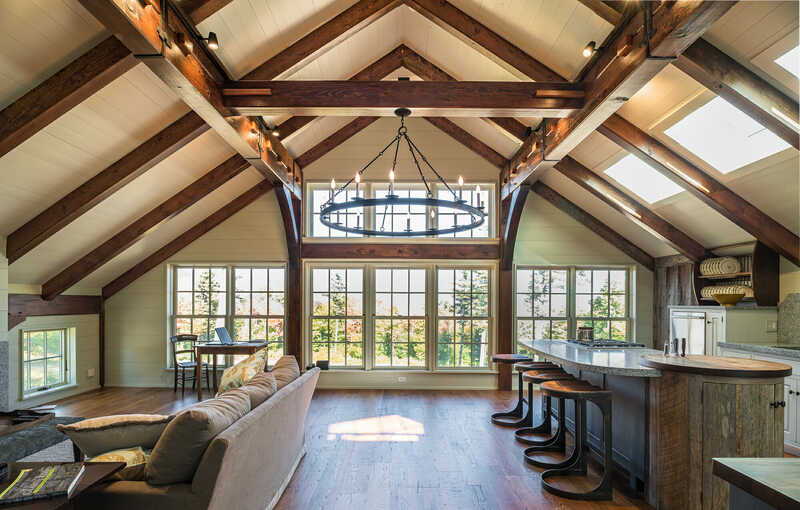 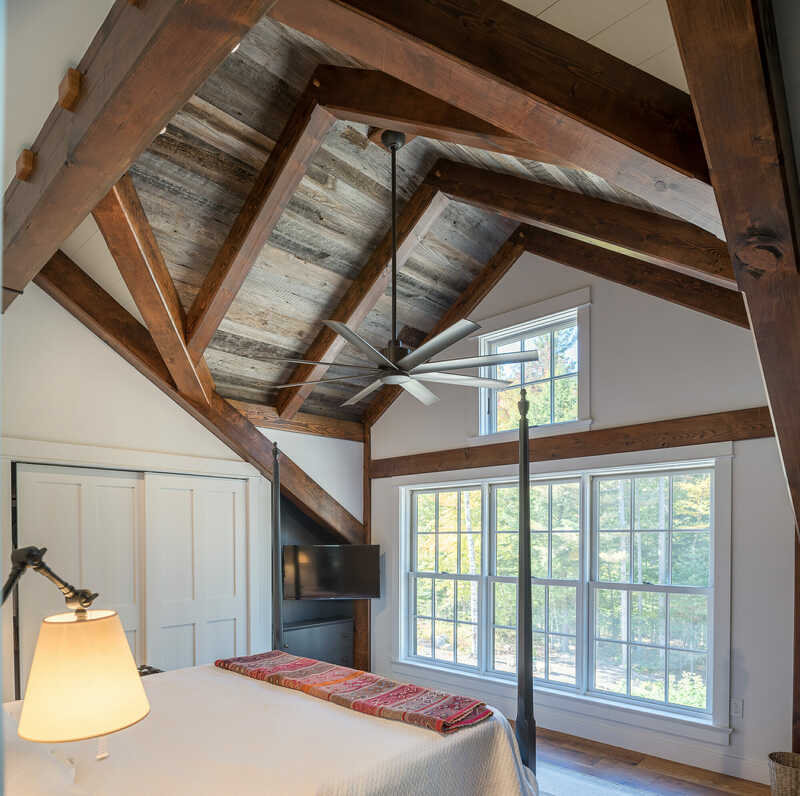 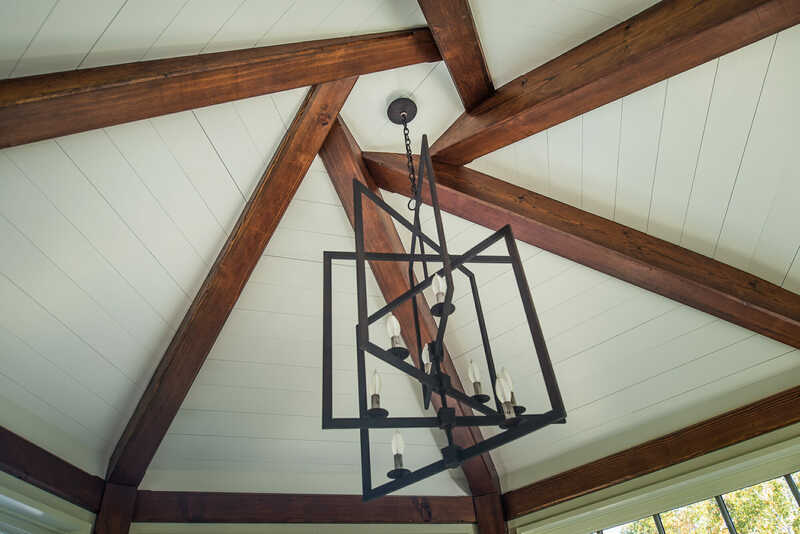 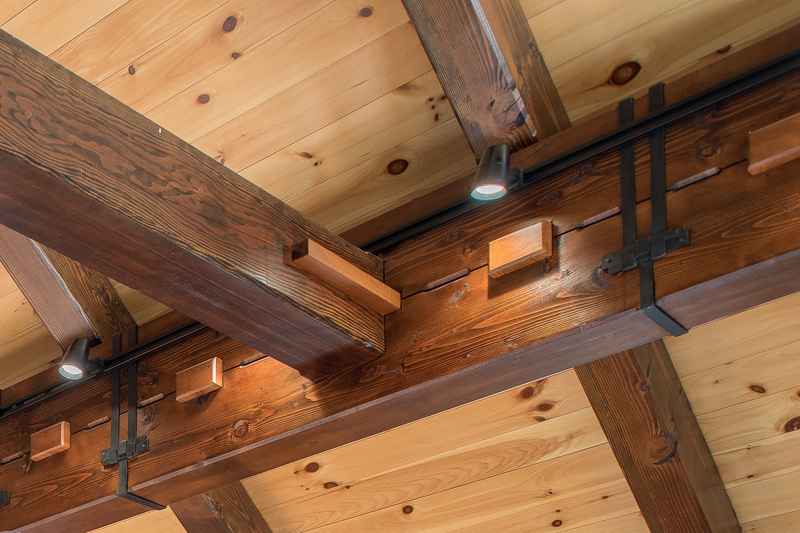 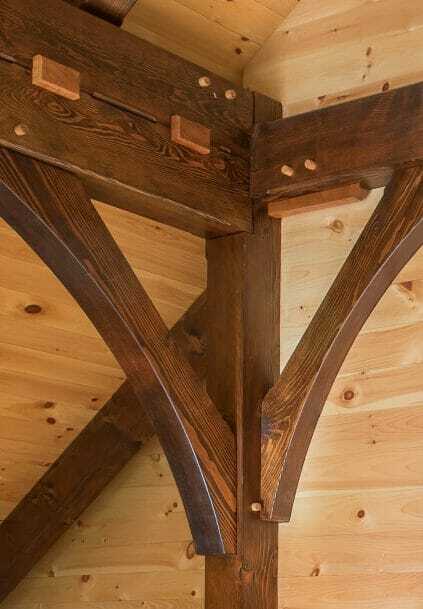 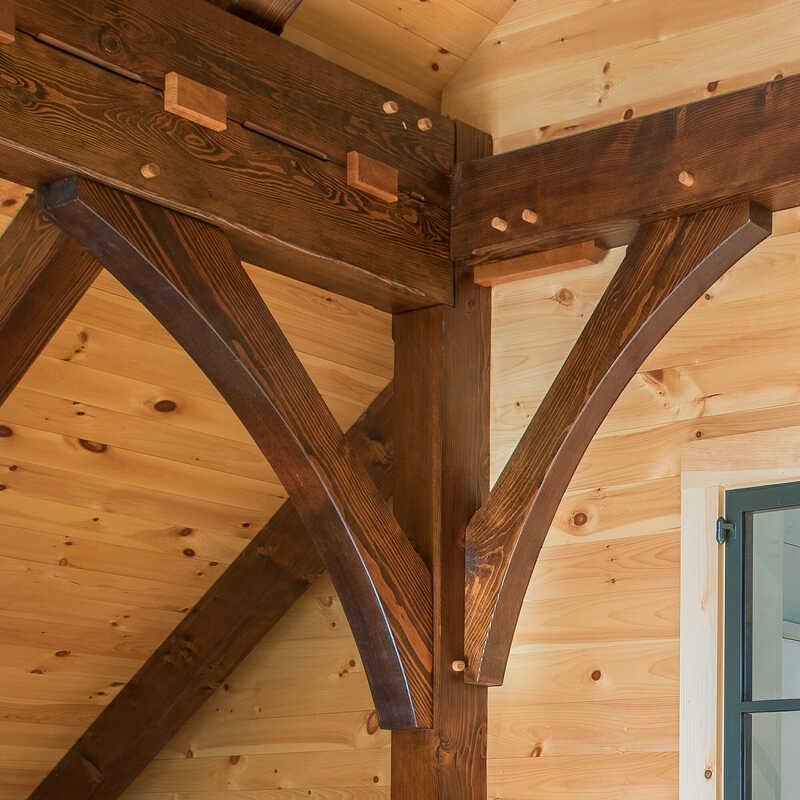 With over 26 years of experience designing and building custom timber frames, we can assure our clients that our frames are the best in the industry.